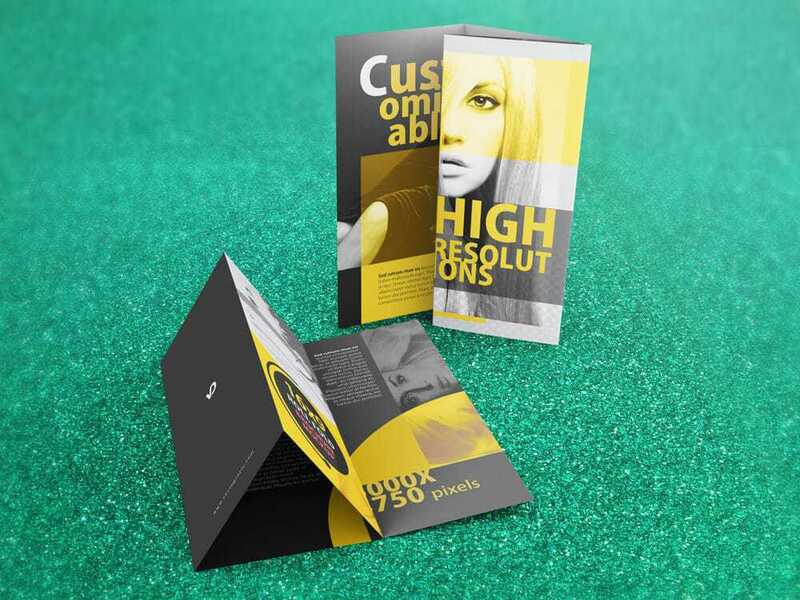 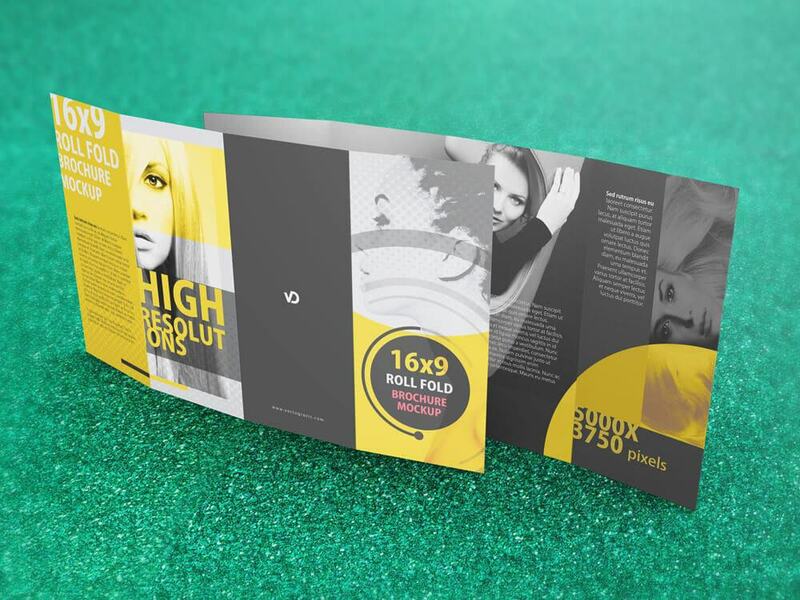 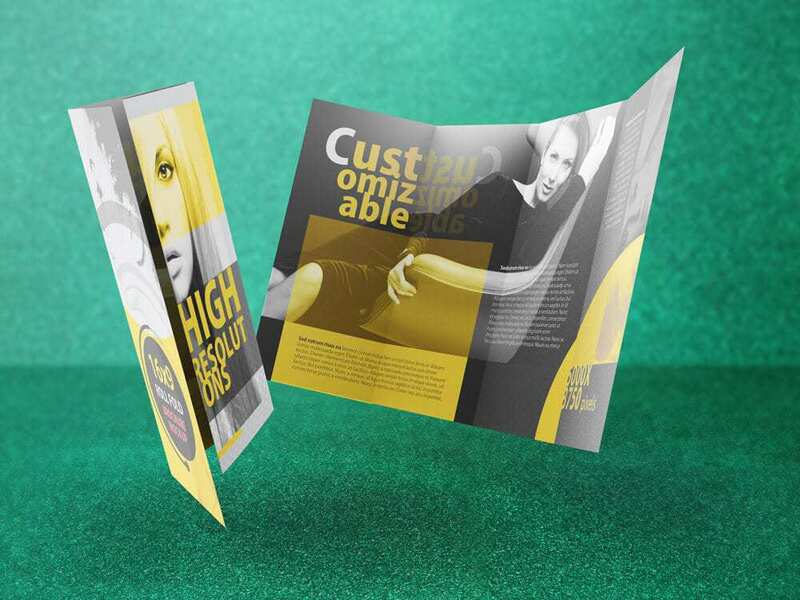 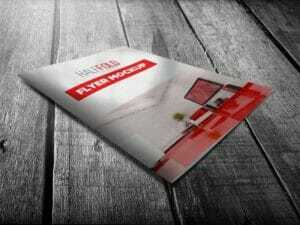 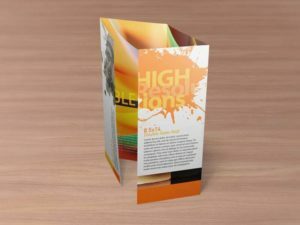 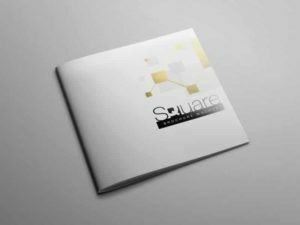 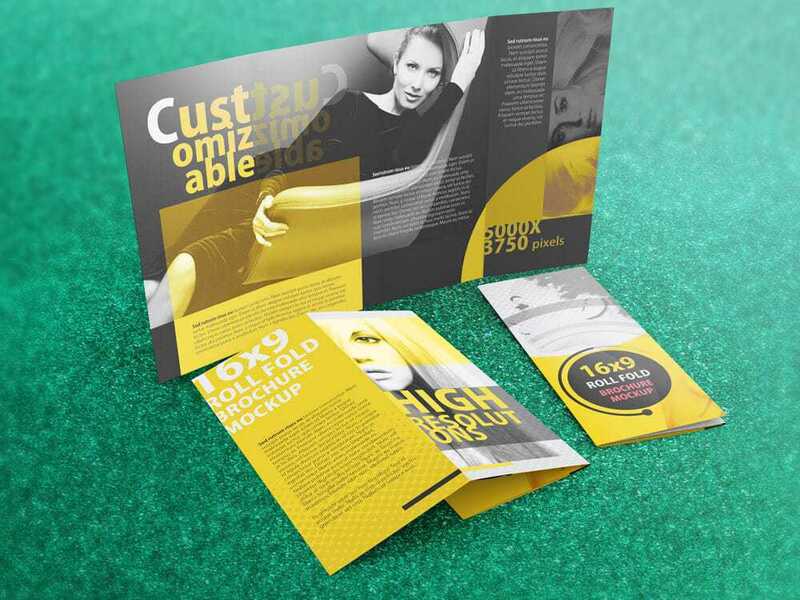 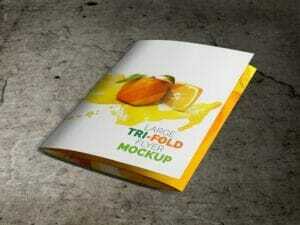 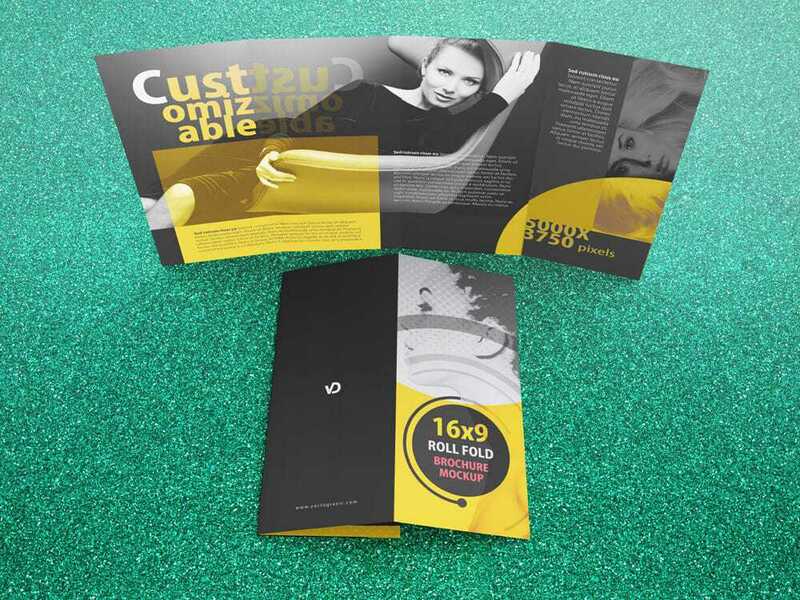 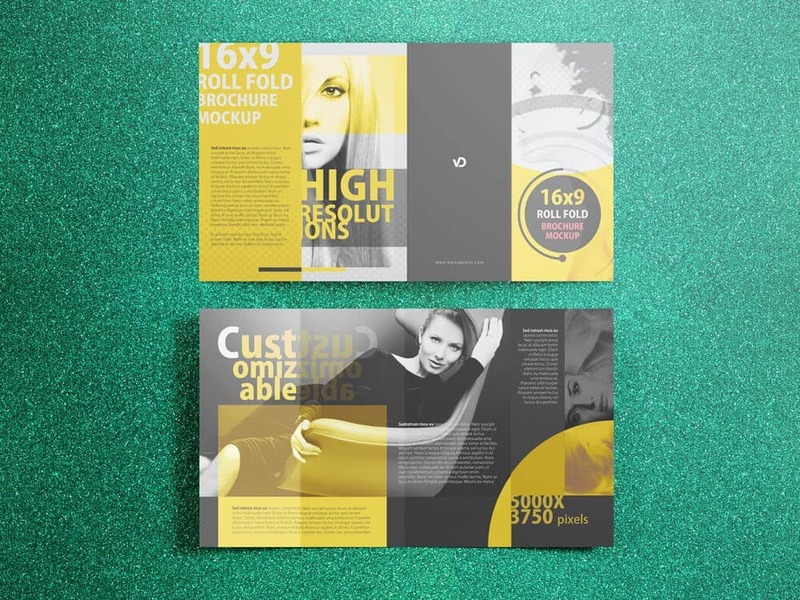 Check out this another version of four panel roll fold brochure mockup which is provided in 16″ by 9″ size. 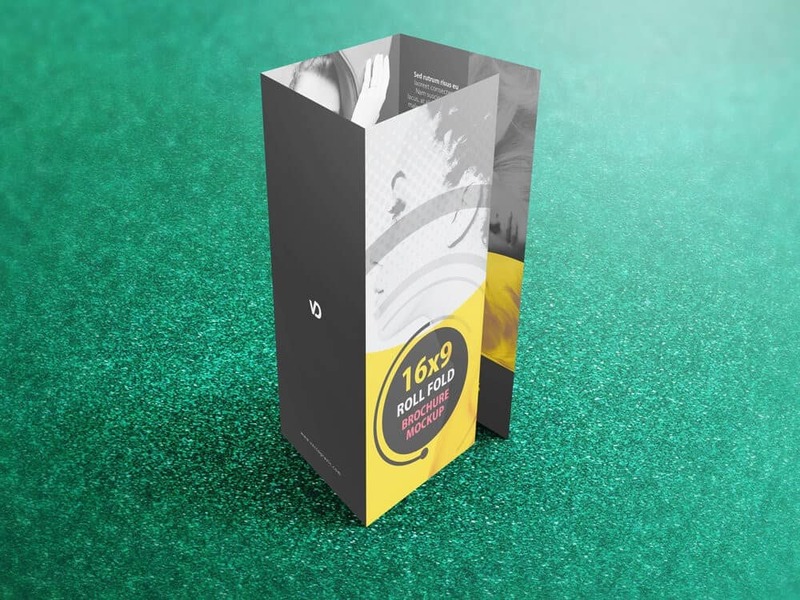 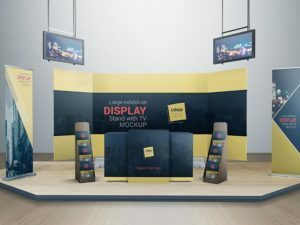 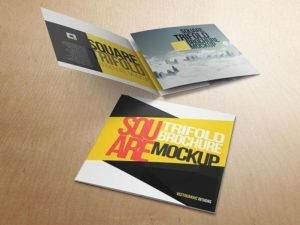 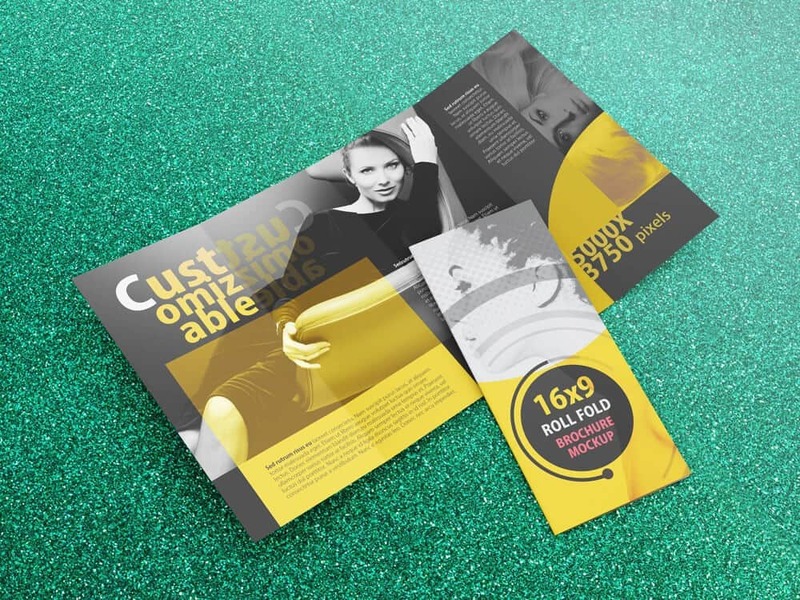 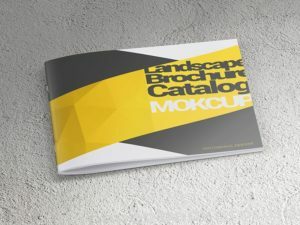 In previous versions, I have presented 14 X 8.5 Four Roll Fold Brochure Mockup, and in this session I present the same mockup with different brochure sizes, to give you more choices for those who need it. 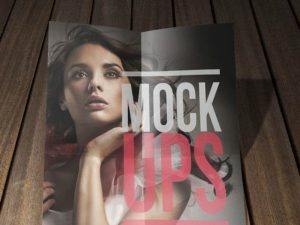 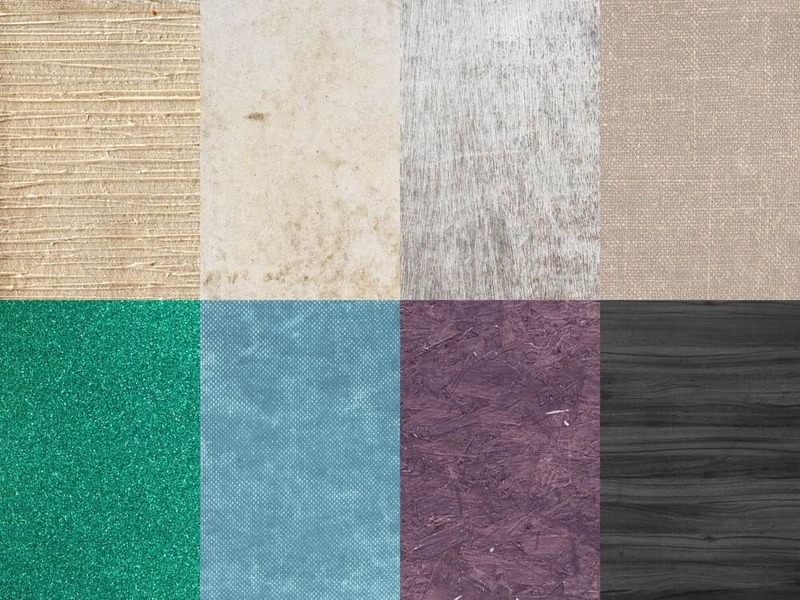 You will find in the package that you downloaded eight Photoshop files including eight kinds of the texture that you can choose as a floor background in this mockup.